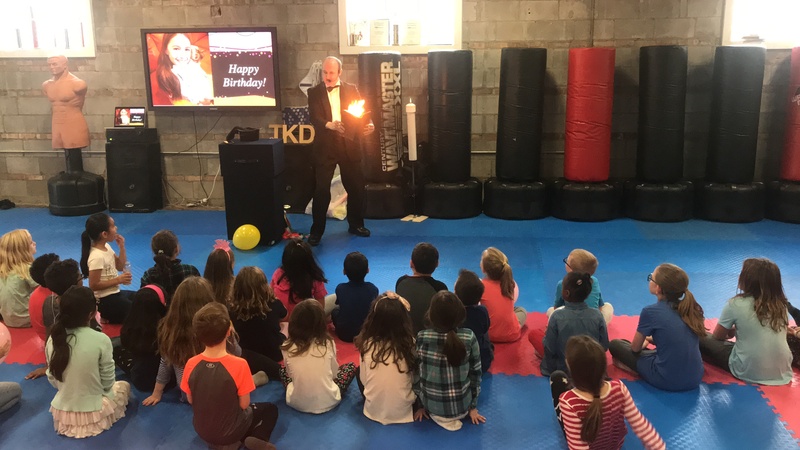 Award winning magic for your child's birthday party, special event, or party. 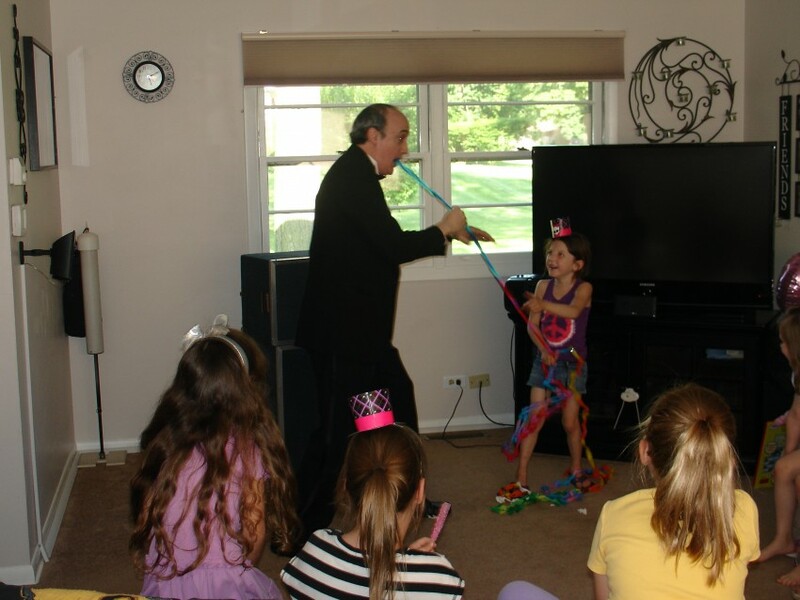 Kids and adults will laugh and be entertained by Mike's magic. 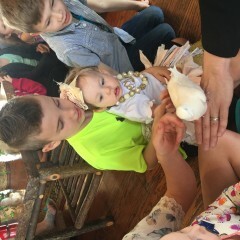 A live dove appears at all of the inside shows. The shows include lots of audience participation. The balloon sculptures are amazing from a small lady bug to a large car, princess or gorilla. 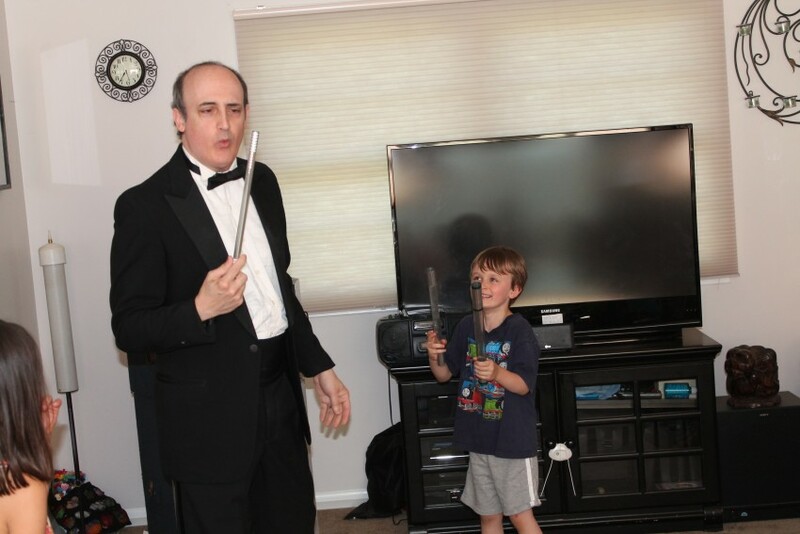 Mike also performs close up magic at tables or strolling at an event. Witness the magic in your own hands and believe in the art of astonishment. 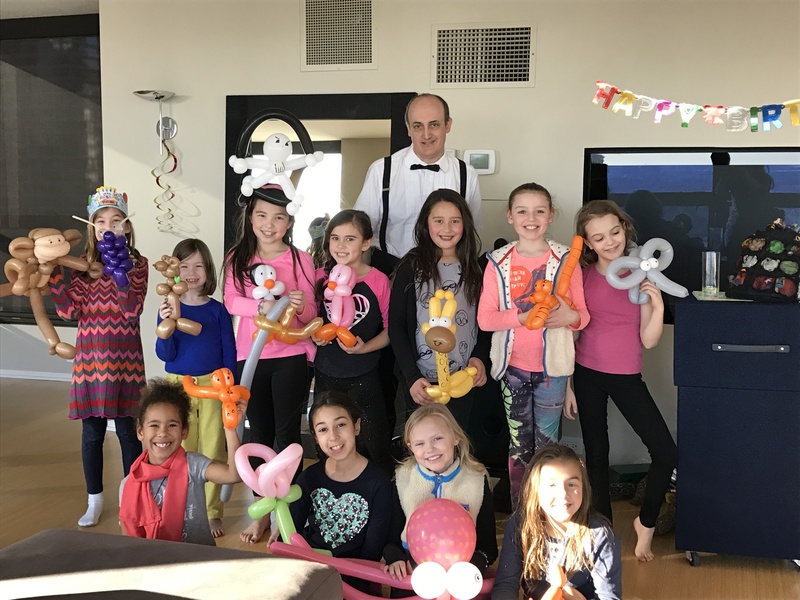 Mike can present a Balloon Twisting Workshop for kids or adults. The participants will make at least a belt, sword, dog, and a CRAAAZY Hat. This workshop is perfect for any school event or private party. Thanks for the review. 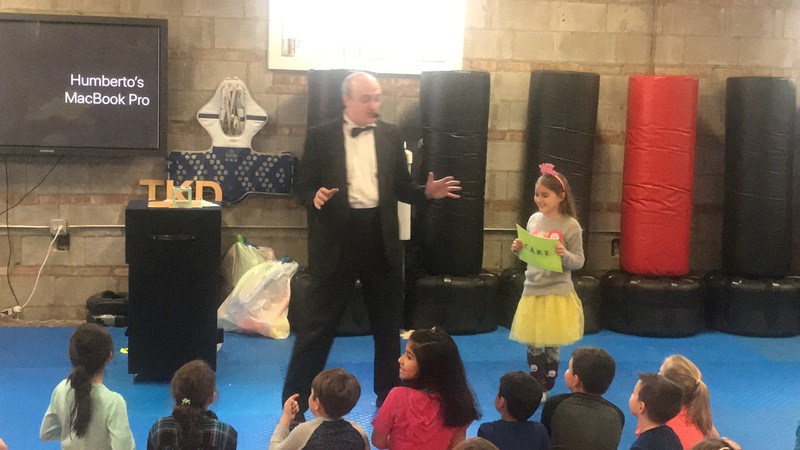 It was my pleasure performing at the martial arts school party. Mike was awesome! The kids loved him. He was so nice, variety of tricks & the kids freaked when the bird came out. He was so talented at making different balloons. Came on time, he was so great. Would recommend him to anyone. All the adults with & without kids loved it too & were impressed. Thanks so much!!! It was my pleasure performing at your daughters birthday party. Mike was prompt, professional and age appropriate! There were kids ages 4-8 and parents ages 35-45. We were all entertained! Thank you magic mike for making the party a success!! 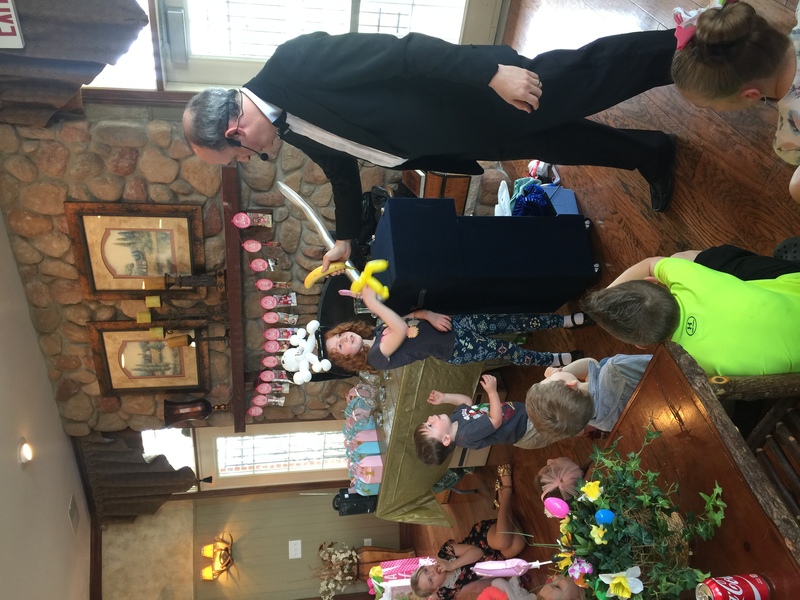 The kids loved the magic show, and balloon animal creations were great! Mike was right on time, got the kids involved, and had everyone laughing! The kids had a great time and Mike was wonderful! It was my pleasure performing at your son’s birthday party. It was my pleasure performing at the christening party. The kids just loved his show. They were entertained for one good hour, and he kept even the adults entertained!! 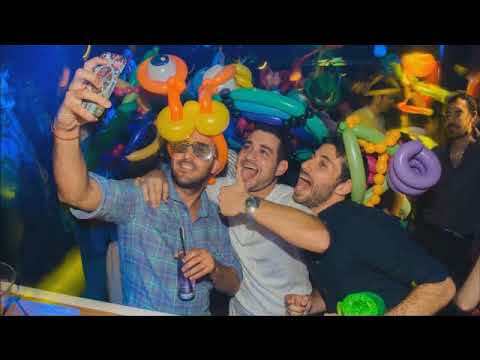 Thanks for making our party a success!! We had around 50 kids as well as 45 adults. Mike went around the rooms making balloon art for the kiddos for about an hour & then had a 30 minute magic show with several kid volunteers. Everyone had a blast! Thanks Mike!! Thanks for the review. It was my pleasure performing at your Halloween party. He was in my 3 years old son party. Kids and adults loved it. 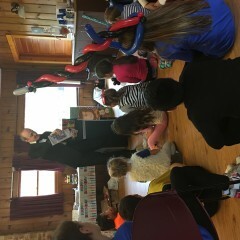 Mike did a great job of entertaining adults and a group of children under the age of 6. He was very patient with the small ones and made sure they all felt special. Thanks for the review. It was my pleasure performing at you house party. 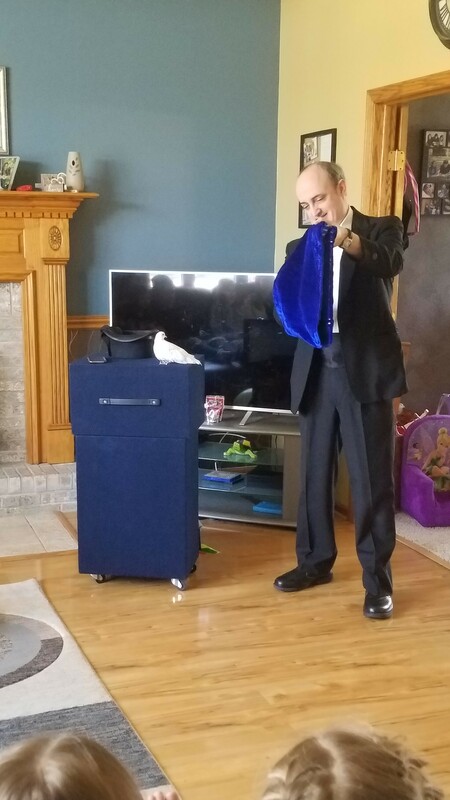 Very happy with Magician Mike's entertainment! 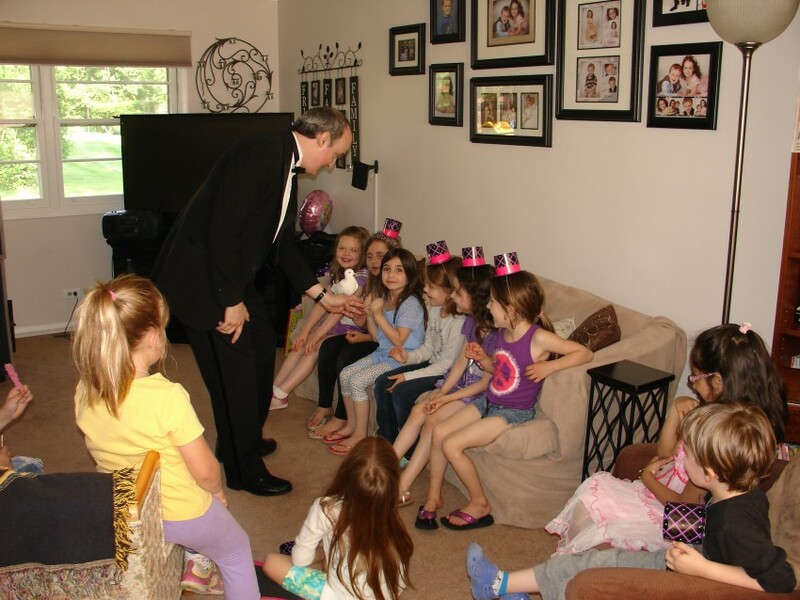 Magician Mike was fantastic and kept 18 kids (ages 2-7) easily entertained for an hour with both magic and balloons. Even the adults were entertained. Highly recommend him...on time and very communicative pre-party. Thanks for the review. 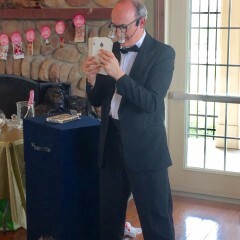 It was my pleasure performing at your son’s and daughters birthday party. Mike kept a group of active, noisy, fun loving cousins engaged and entertained for an hour. That is magic! Thanks. It was my pleasure performing at the birthday party. Mike was great! Very entertaining for a group of kids ranging in age from 1 1/2 - 6. He was prompt, always responded super quickly to emailed questions. I would definitely recommend hiring him!! Also his balloon animals were fantastic. Mike responded all my questions promptly before the show day. He came 15 min before show start time for set up. The show is really fun! Everyone laughed hard including adults. One parent told me she saw a few similar shows and this is the best she experienced. He is very experienced with kids. Made shy kids feel comfortable interacting with him instantly. Like other people commented before, he stayed several minutes longer than one hour making sure all kids had a balloon twister of their own. Highly recommend. He was very patient with the kids and made a lot of balloon art for the kids. He amazed the kids and adults! Thanks for the review. It was my pleasure performing at your son’s birthday party. Thanks for the review. It was my pleasure performing at your son's first communion party. 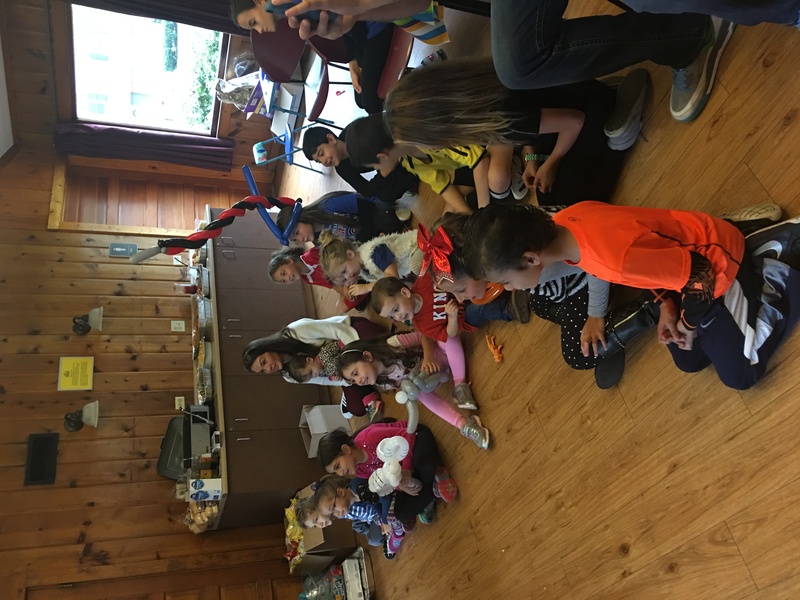 Magician Mike did a great job entertaining 20 kids around 4-5 in age and making sure all of them had a chance to interact in the show! 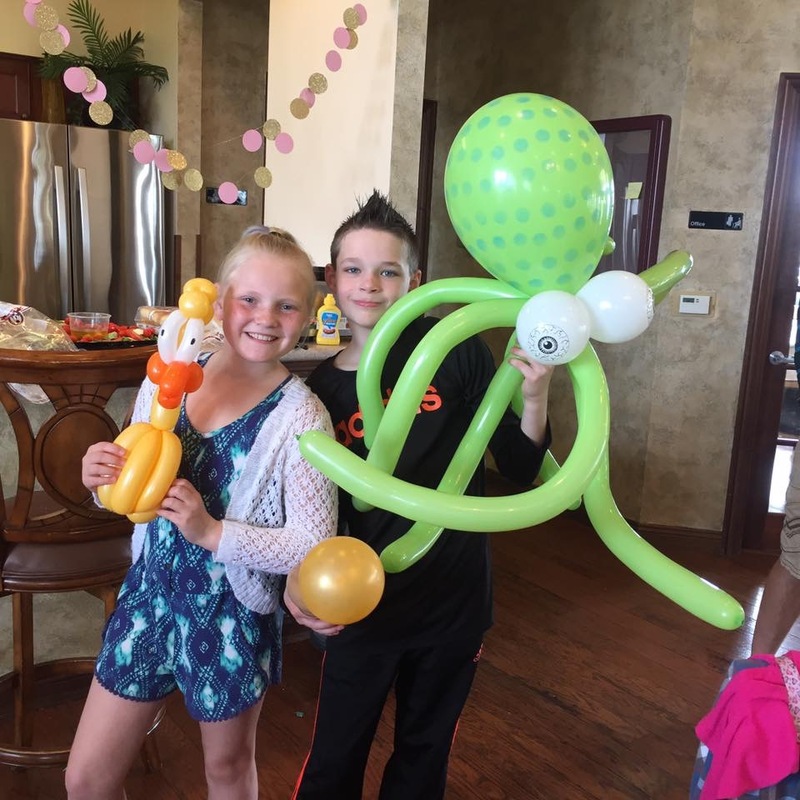 It was perfect for an indoor party and the kids were very engaged and also loved the balloons! Thanks for the review. It was my pleasure performing at your son's birthday party. We all really enjoyed the show. Timely, professional and entertaining! Thank you! Thanks. It was my pleasure performing at your son's birthday party. Mike thanks for awesome show!!! 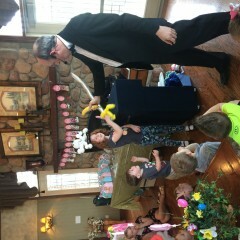 Thanks Mike it was a pleasure to have you doing the magic show and balloon animals. We will definitely use your service again. Thanks again! Thanks it was my pleasure performing at the first communion party. He is a great Entertainer for any party!!! Thanks Mike! Every kids loved Magic and Balloons. Mike is really great for any party entertainment!!! Thanks for the review. It was my pleasure performing at your daughter's birthday party. Mike was able to keep the focus of about 25 kids between the ages of 4 and 7. I couldn't have aksed for more. He also stayed and made balloon swords and a monkey! He stayed about 15-20 minutes overtime without complaint. Thanks for making my son's birthday a great event for everyone in attendance. It was my pleasure performing at your son's birthday party. We changed the number of kids at the last minute and he was extremely accommodating. He came earlier and stayed later to make time for everyone. The kids were fully engaged and loved the show! We would highly recommend Mike. He was extremely good with the children. Allowed all the kids at the party to be involved with his act. He was very entertaining and funny which kept the kids engaged. Mike was very punctual and professional. Our son, his friends, and their parents all raved about what a fantastic show he put on for the kids. 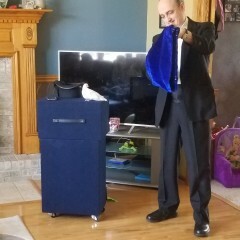 Would definitely book magician Mike again! Thanks for the review. It was my pleasure performing at your son's Harry Potter Birthday Party. We were very impressed with Mike and would book him for a party again. Our friends said he did an excellent job and thought it was such a great idea to have him for our party. It was a 1st birthday and was more of an adult party than kid party but he was great for everyone. It was my pleasure performing at your daughter's birthday party. Mike was awesome! His Magic show and the balloon twisting kept kids and parents alike engaged and excited! So glad to have gone with him for my daughter's birthday event. Thank you. It was my pleasure performing at your daughter's Birthday party. Mike was great, the show was entertaining and he was fun and patient with the kids. Thanks! 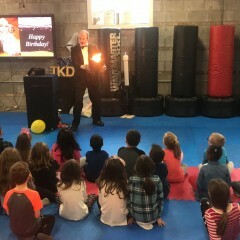 This is the second time we’ve had Mike come to perform magic and twist balloons for our (other) daughter’s birthday party, and he was just as great this time!! 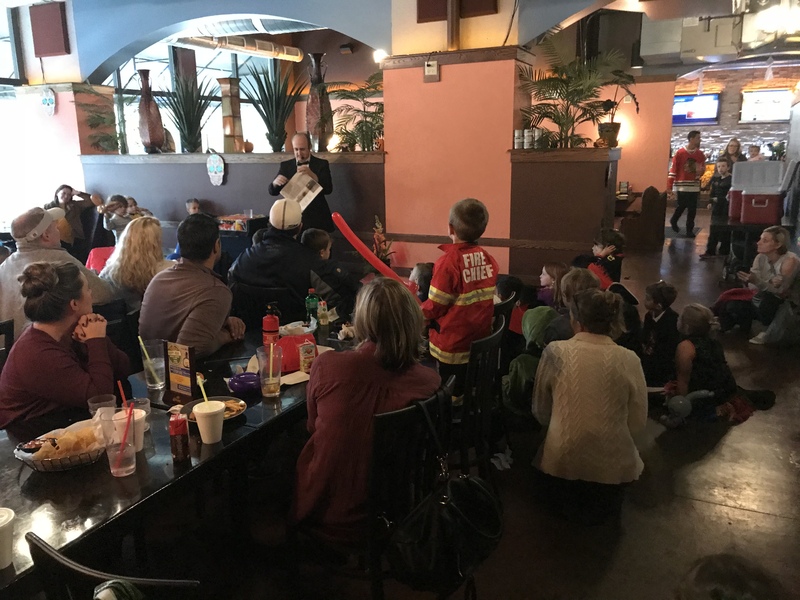 He did a bunch of new magic and the kids (and adults!) were very impressed by his magic tricks. 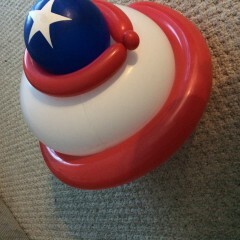 And, he also makes really great twisted balloon animals and hats! Mike was great and the children loved him! He was very detailed and his magic show was awesome! 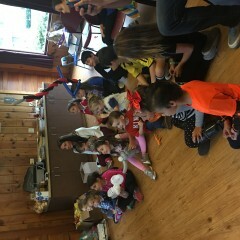 The kids interacted and it was a great hit! Highly recommended for sure! Mike puts on an AWESOME show. Very entertaining and was able to keep the attention of about 13 kids ages 2-7. 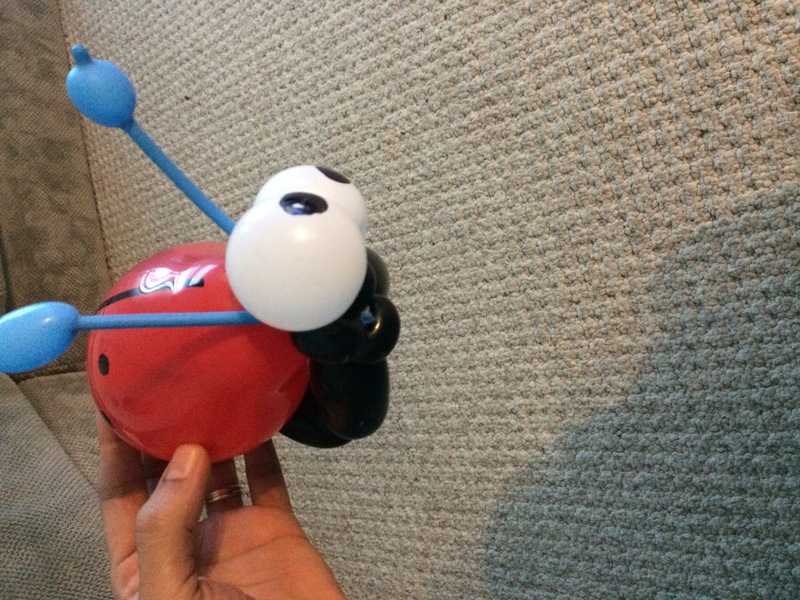 My son LOVED his balloon animals, he really has a skill for making balloon animals. I highly recommend him for your next event. You won't be disappointed! Thanks for the review. It was my pleasure performing at your son and daughter's birthday party. The kids looked great in their costumes. Amazing Performer! Everyone loved him! Mike arrived as scheduled, 15 minutes before scheduled show time to set up. He did a magic show for the first 30 min then ballon twisting for 30 min. 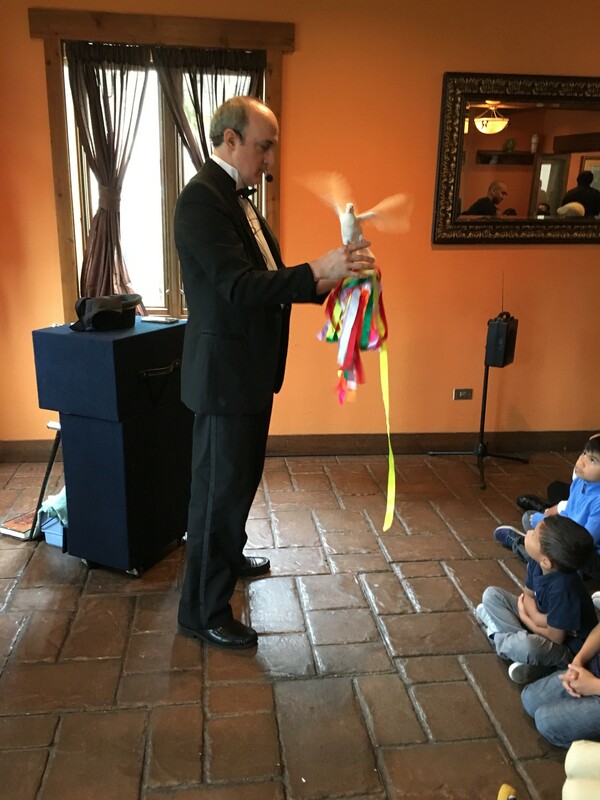 He captivated the entire audience, children and adults alike. Amazing job! I highly recommend him. This was for a 7 year old’s party. There were 15 children. Thanks for the review. All of the kids and adults looked great in their costumes. It was my pleasure performing at your daughter's birthday party. Mike was very prompt and came early to set up. He had amazing tricks and stunned the adults even. Overall 10 out of 10. Would highly recommend. Thank you for the best magic show we've ever had. Thanks for the great review. It was my pleasure performing at your son's birthday party. 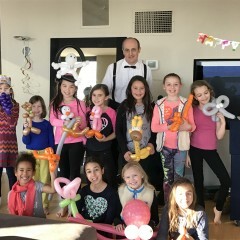 My 7y/o daughter and her friends really enjoyed the magic and the balloons were incredible! Thanks. Really surprised with the balloon twisting skills of Mike. Kids loved the balloons. He even stayed beyond the set time to make balloons for kids. 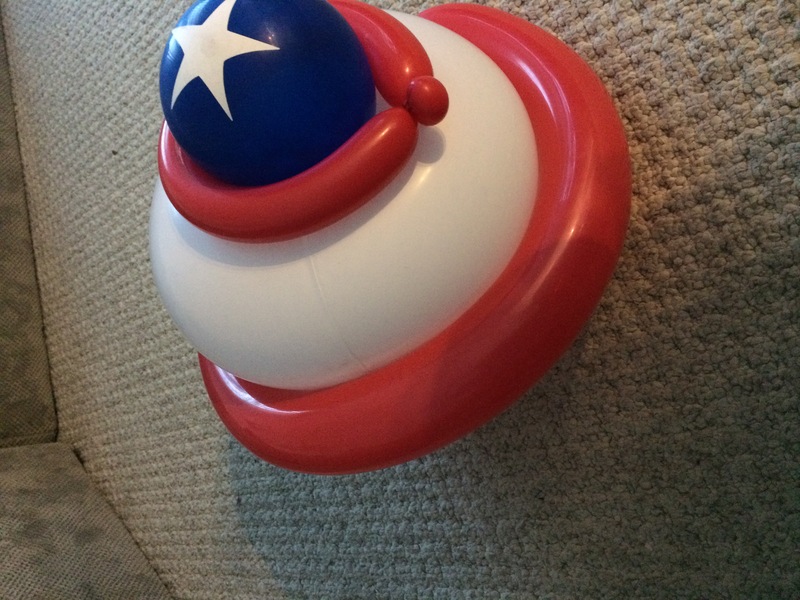 He was able to do special characters balloons for my kid. Will love to call him again for future parties. The kids enjoyed every minute of his show! Mike also kept the adults attention. Everyone kept talking about the show after he left. Definitely would book him again and recommend to others! Mike did a nice job with the monster themed balloon columns I requested. 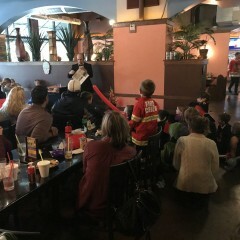 The kids, parents and staff were all intrigued with his magic show. The kids were definitely entertained! 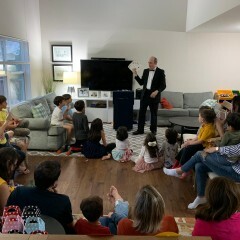 Very happy with magician Mike, great magic show and balloon twists! Thanks. It was my pleasure performing at your daughter's first communion party. The show was very good. People love it! Thank you. The kids and the adults enjoyed. He is very good in balloon twisting. 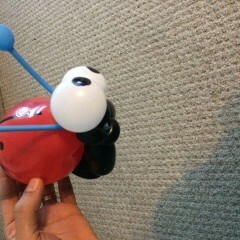 The lady bug was one of our favorites.. my niece just loved it. My kids loved the show! My kids loved the show and balloon twisting too. 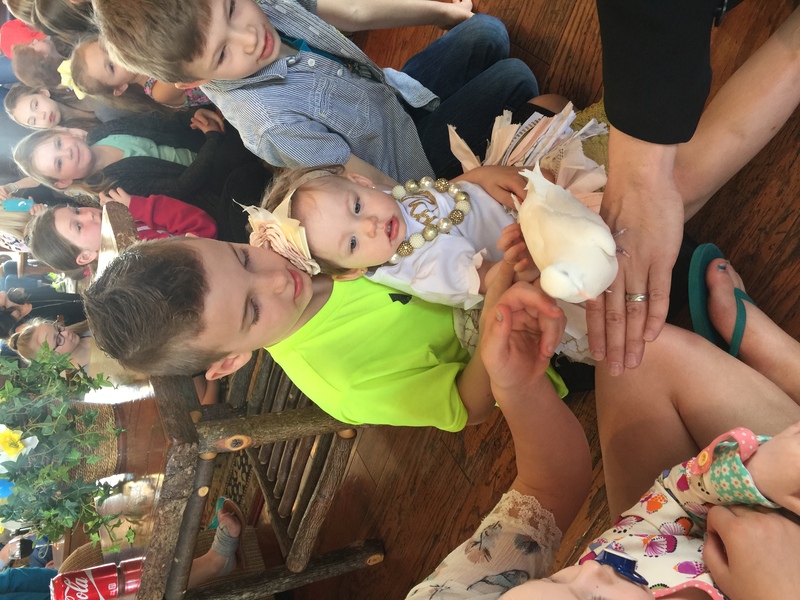 We had kids of all ages and there was something for everyone to enjoy! Thanks. 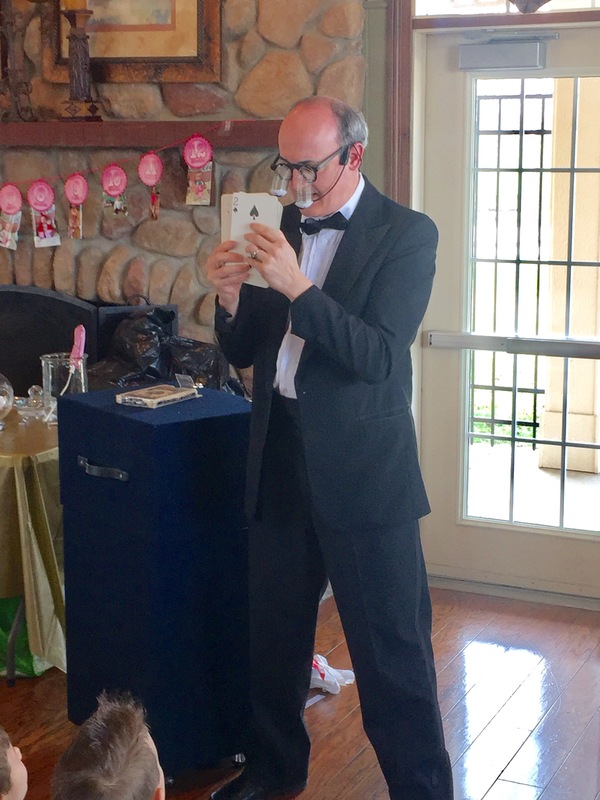 I was my pleasure performing for your son's 1st Communion party. Before my son's party, Mike was very quick to respond to all of my questions & requests. 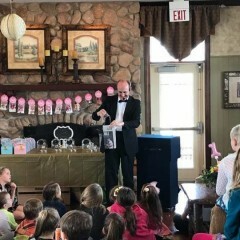 He arrived exactly when he said he would to set up, his show started right on time, & he captivated all the kids at my son's 5th birthday party! All of the parents loved him as well! What a great investment, & a fun performer. I would recommend him to anyone. Thanks, Mike! I've never gone through a site like this before and I'm so glad I did. He was absolutely great! Very entertaining and awesome with the kids. He worked so hard and fast with the kids balloons and they all got so many. He was patient and punctual. Highly recommend him. He's like two in one with the magic show and balloons!!!! Thanks for the great review. It was my pleasure performing at your daughter's birthday party. Mike was very entertaining and very professional. I must say that everyone enjoyed his magic tricks. My son can't stop talking about him. I would definitely hire him again. Thanks for the great review. It was a great party and i hope to see all of you again. 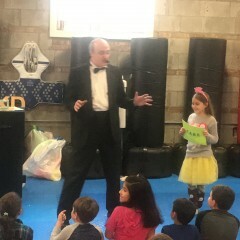 Our 9 year old daughter's birthday party was a total hit because of Magician Mike! Leading up to the party, he was extremely responsive and easy with which to communicate. The day of the party, he arrived early enough to set-up and was ready to go at the exact time when all the guests arrived. 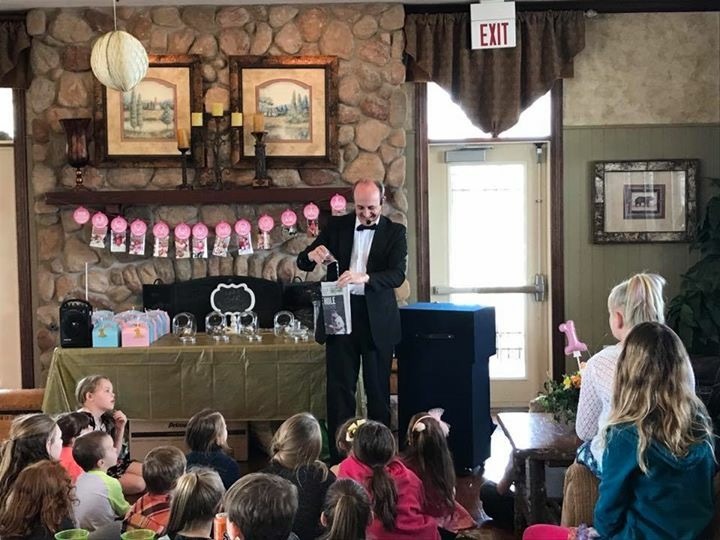 His magic show was excellent - he was funny, the magic was very cool and entertaining, and our guests were engaged the entire time! And at the end, he made some really great balloon animals, flowers, and hats! 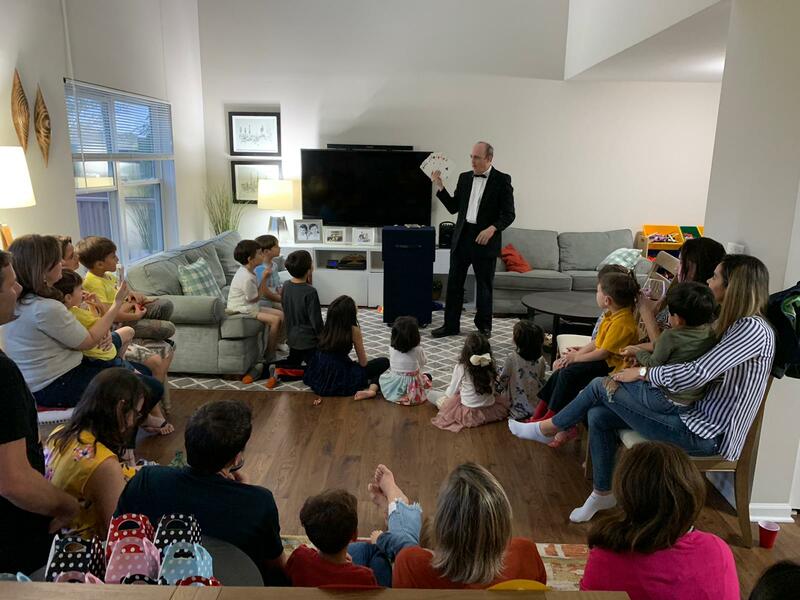 Our daughter and her friends enjoyed Mike and his show very much; having him there was the perfect addition to the party! Mike was very entertaining! 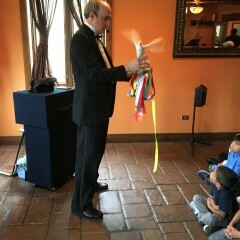 He kept the kids engaged and involved with the show. The kids loved it! Thanks. It was my pleasure to perform at your son's birthday party. Thanks for the great review. It was my pleasure performing at yours son's birthday party. Mike was so professional and well mannered. The kids loved the show and the ballon twisting was fanatastic. I would definitely recommend him and will consider him in any upcoming events! Thanks. It was a great party and a pleasure performing for your family. It was really fun to watch the magic show. The kids liked the ballon twisting. Thank you and hope see you again. You were a great audience. Mike was on time, funny, prepared and also very flexible with me when I was trying to coordinate the arrival of guests with the show. Everyone had a great time! Thanks. It was a pleasure performing at your daughter's birthday party. Magician Mike was amazing. The kids all loved the show! The kids all loved the show! Magic Mike was on time and very professional. All the kids and adults truly enjoyed the show. He really included and catered to everyone in the audience. Would definitely recommend and would definitely consider for future events. 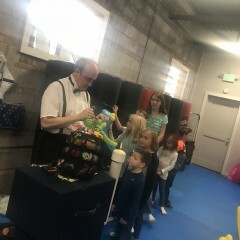 Mike was friendly interactive with the kids, and very organized.. Everyone raved about it and it truly made the party special!! :) Thank-you so much, so glad we found them!! Great performer easy to work with! Mike was such a great please to have at my daughter's party. He was patient and waited for more of my guest to arrive before he started his show. My daughter was included in his act and so was her guest. Overall the adults enjoyed him just as much as the children. He did balloon characters and surprised my daughter with her own themed Sofia the First ballon character! I would hire him again and again! It was a pleasure performing at your party. Thanks. We all loved the performance!! 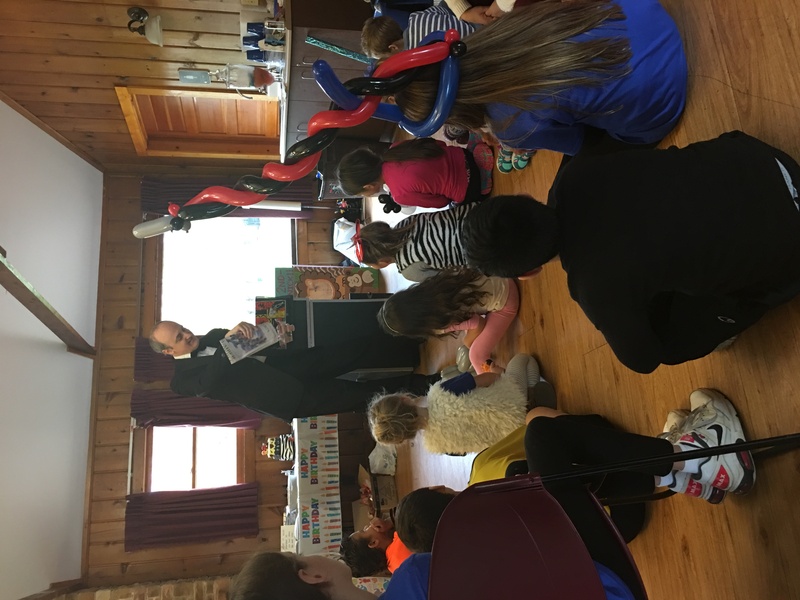 Our newborn's party was such a blast for the kids and elders because of Mr. Andreshak's great performance and professionalism. I would love to request him for any future opportunities. It was a pleasure performing at your party. Thank you.